Our kids use YouTube. We use YouTube. Last week, when I had to change the power cord on my dryer, I used YouTube. Why would we miss out on the second largest search engine in the world and perhaps the most engaging way to share media? We wouldn't, and we don't. Teachers are using video everyday, and I'm not just taking about watching videos on YouTube. 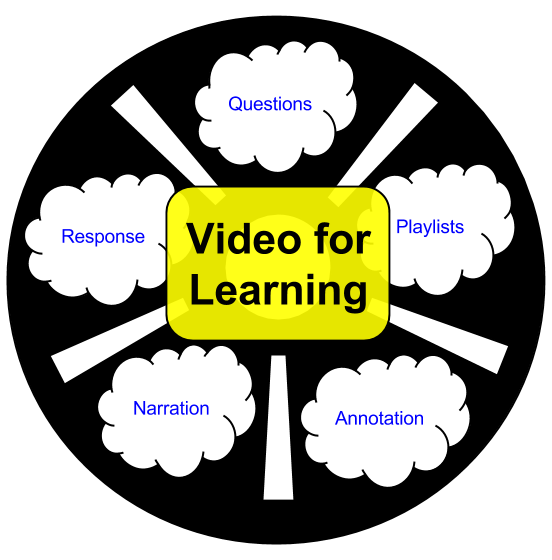 Here are five ways to use video for formative assessment. Comment, if you'll please, on which one you think best supports digital citizenship. Video is great to engage learners, but it can also be used as part of an assessment. Use video in Google Forms (shown below) or try a platform like Zaption to embed questions in the videos. Keep an eye out for YouTube including more interactive opportunities for its users. 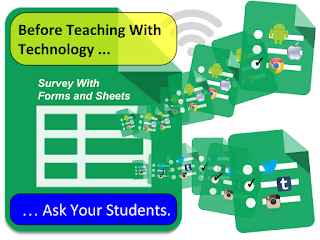 At some point in the near future, I bet educators will be able to collect data that's organised by user. I usually have a playlist for each unit. It includes videos I made and other videos that we watch in class or suggestions for learners. Ask your students to make a playlist of their own. 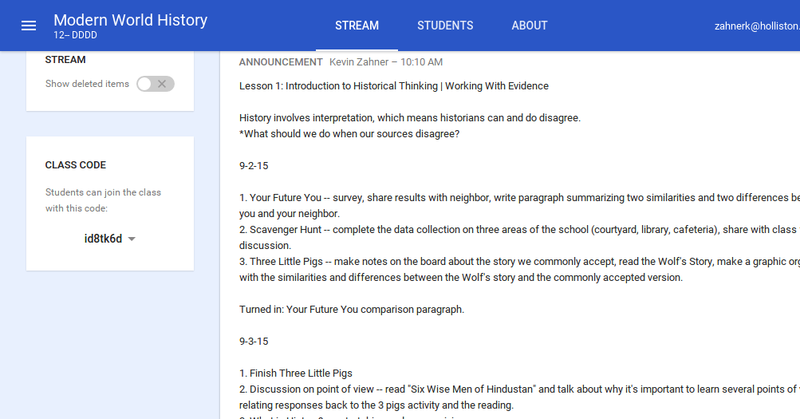 They can summarize their choices (and the unit or topic) in the description. Take it to the next level and have them comment on a few of their peer's lists. The power is in the use of choice to engage learners in a different angle of summarizing, grouping, labeling, etc. 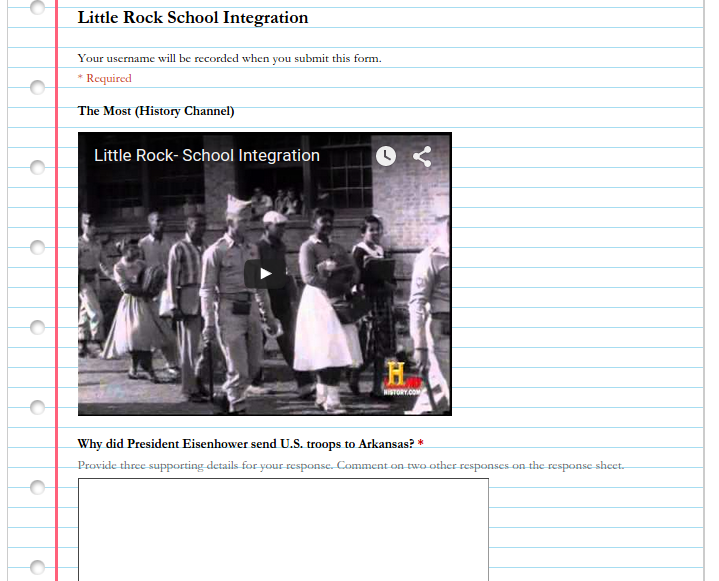 Give your learners the opportunity to annotate a video. 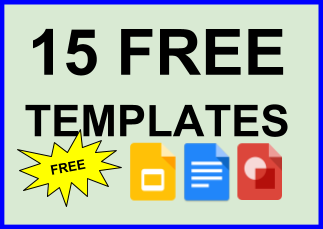 Share an MP4 (or other compatible format) in Google Drive or otherwise, and prompt learners to use a theme or topic to focus their annotations. Five annotations for a 45 second segment is reasonable. The process of making a short tutorial video or presentation provides opportunity for choice and repeated review. These lead to increased retention of information and skills performance over sit-and-get strategies. Most importantly, the assessment is authentic because it is a product that can be used as a resource for anyone with access, something the Internet has made routine by this day and age. The great thing about a video response is the ability to see and hear yourself before sharing it. If your students think they can do better, they can try it again before sharing. Since making more videos, I've noticed an increase in public speaking fluency on my part. I don't expect my students to become YouTubers, but I want them to experience self evaluation and the opportunity to share a better performance. Have you decided which one best supports digital citizenship? I'd love to hear from you. 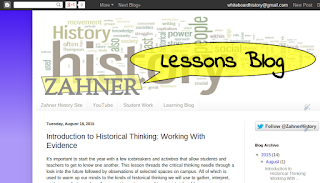 Sharing lessons online is becoming the standard, and why not? Students want to know what they missed. Parents want the ability to take a peak from time to time. And teachers should make it easy to share with colleagues – not to mention the ease of access to the plan next time around. 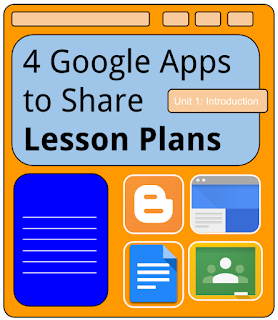 Here are four Google apps that work well for sharing lesson plans. It's important to note, however, that each app is geared for a slightly different audience. For example, a lesson published for sharing with colleagues may not be the format students and parents want to read. 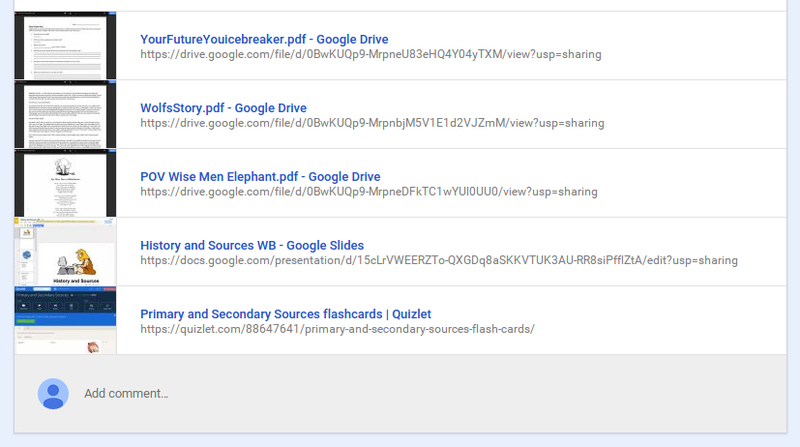 I use a combination of Blogger and Google Classroom. This is my favorite! Using a blog feels, to me, like a wide open space. 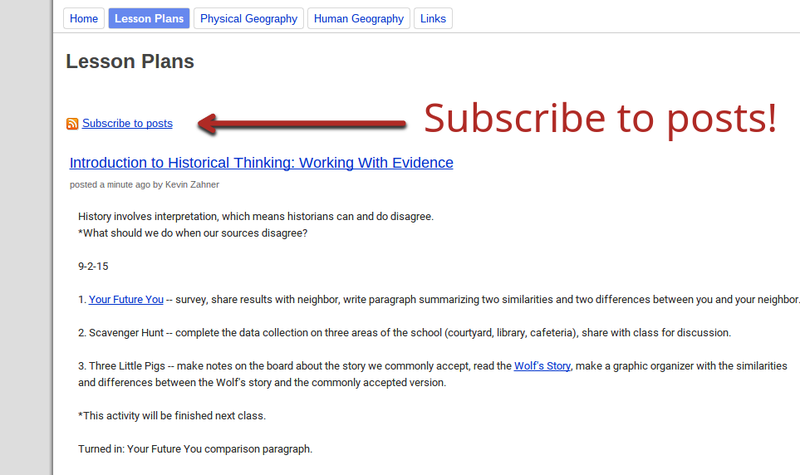 If it's organized well, users can skim and click on resources or read every word to fully understand the lesson. Blogger is the best app for sharing detailed lessons with colleagues because of the public nature and commentary opportunities. Just make sure you balance the jargon with points that non-educators can understand pretty quickly. Click the image for an example. Classroom is definitely a space that requires brevity. 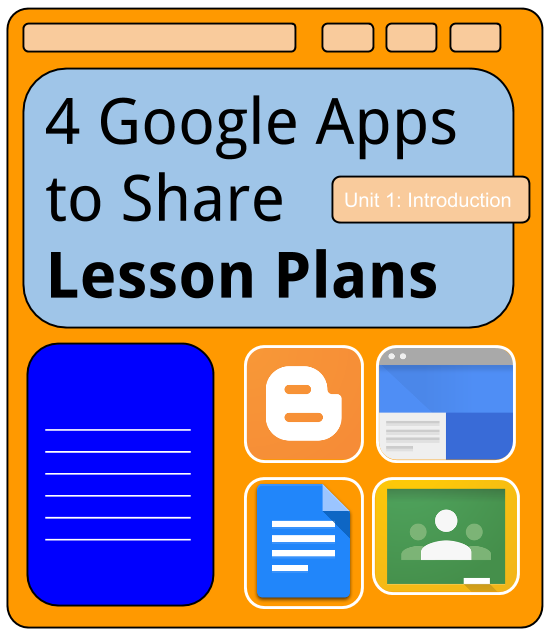 In fact, I like to write two or three days worth of lesson plans in one post, especially considering that my lessons often start during the last 20 minutes of class. Straddling the meeting times is a good way to keep students thinking beyond the scheduled class. Notice how the resources are shared in order of appearance. This is important because kids (especially teenagers) will ask which resource they need, even if the titles match perfectly. Right click and print for sub notes (click link for example). 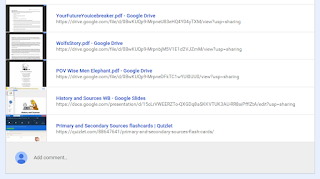 Google Sites is not much different than Blogger. The nice thing about using Sites is that students and parents can go to one place for everything, depending on how the site is organized. Insert an announcement section on your homepage, and users will be directed to the most current information. If your users want email updates sent automatically, they can subscribe to the announcement posts. In fact, all four of these apps allow users to subscribe to changes, posts, announcements, etc. I do something different with Docs that's great for unit planning. The curriculum is pasted into a document, and I include links in the text to the resources students need. As we progress, I include some activities in lieu of a slide presentation if I think it will save time. Consider using the table of contents feature, which works with the headings automatically. Insert a table of contents at the beginning of a document. Make your document headings with the automatic stylizing. 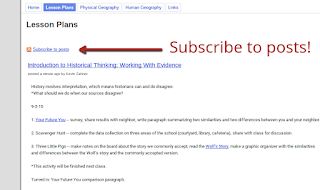 Refresh your table of contents to make the jump link. This year will be a bit different because I'm teaching at a different school in a different state. 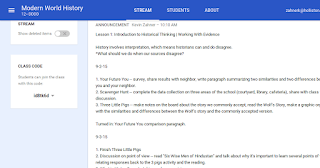 But I'll try some new things like writing the lesson plan on Classroom and pasting it into Blogger where the elaboration and more formal writing will finish it off. Last year our campus had a few strikeouts on professional development, so our principal decided that the day following winter break would be given back to the teachers. That's when I took the opportunity to call on a few ideas from our staff book studies to nudge our campus PD in a different direction. Let's say that I gave them the day in a different way. By mid year, our campus was fatigued by change – a new grading system and waves of initiatives that seemed like old ideas in new packaging. We didn't need anything else that would compromise the relationship between the elephant and the rider, as Chip and Dan Heath would put it. The elephant and the rider, according to the Heath brothers (Switch ... 2010), is an analogy that illustrates the relationship between our ability to plan and how we feel about things. It's the elephant that becomes engaged and produces results, but it's the rider that gives direction to the elephant, especially when it comes to goals and intended outcomes. The Academic Leadership Team wanted me to present Google Classroom. I agreed but had a different presentation format in mind – somewhere between edcamp and department meetings. I found the teachers who were using Google Classroom and chose one session facilitator for each department. The goal of the session was to have a conversation that encouraged teachers to share about how they communicate, not just about how they use Google Classroom. Some may think that the face-to-face conversations I used to select the facilitators were no big deal, but visiting with teachers was the only way to build support for a teacher-led PD session. It also gave me the opportunity to coach out the different things they might share with their departments. When it came time to start the session, I explained that we didn't need another edtech tool to learn or feel as if we're forced to use. I made it clear that the goals were simple: (1) Awareness and (2) Access. We wanted teachers to be aware of Google Classroom and confirm that they can access it. Those were the minimum requirements. The simplicity and freedom let the elephants roam without being told things they probably already knew or could figure out on their own. What happened next was what I had hoped. Tell me. Show me. Let me. The conversations that some departments had about what you can do with Google Classroom went on for months. I had teachers – who often never wanted to hear about edtech – share their stories and ask questions about how I use it. The success wasn't that teachers were using Google Classroom. It was the collaboration that came out of the belief that if we let teachers do it, they will. 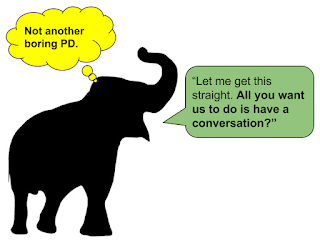 Not everyone took away a tangible lesson from the PD, but more positive conversations about teaching and learning came out of it than the sessions in October and August. These kinds of teacher-centered opportunities are what lead to lasting change versus the fleeting red carpet programs that promise the moon yet leave teachers and children behind. Have you ever thought about the fixed nature of a traditional lesson plan? What about a written speech? The best teachers use questions and assessment to guide instruction, just as the best speakers use their ability to to flow with a series of topics or questions as they engage the room. The question we need to ask is whether our schools are responding appropriately to the professional needs of our teachers. Are we asking them about what they need? Do we know who the bright spots are? Are we putting the bright spots in a position to make schools a growth mindset institution? It will take elephants with growth mindset riders to distinguish between the meaningful changes and the sea of inevitable initiatives that will never help educate our youth. This will only happen when admin play the role of facilitator and the fixed approaches to leading teachers are replaced with plans developed, evaluated, and reformulated by the teachers implementing them. Flipped classroom, blended learning, or whatever we want to call it. The common notion is the need to do something different in school because new technology makes it possible. Add to that the willingness to accommodate various learning preferences, and you have the potential to change the look, feel, and flow of a classroom. Here are eight flips I made this past school year that I plan to build on in 2015-16. I'll never forget what my first principal told me when I mentioned flipped videos. He said, "They want to hear it from you, not watch a video." Although I don't lecture for the entire block, I make a point to provide short explanations to connect the activities. For those students who miss class or need repeated review, they can watch the short videos I put on my YouTube channel. In past years, I thought about giving my students the curriculum to use as a reference. After reading Alan November's Who Owns the Learning, I decided to teach a new set of classroom roles – one of which is the curriculum reviewer. For the first few years of my teaching career, I was told that kids don't understand how state and program standards read. Now I know that their efforts to understand, along with my guidance, is a learning opportunity we can afford to hand over the the students. I'm not saying to dissolve the district curriculum committee, but we should expect more from our students and teachers in the area of interpreting curriculum expectations. This is my favorite! One of my goals is to empower students to take over their learning. I try to do this by making them content contributors as often as possible. Students can send images, links, and text using Remind Chat. Check out this post to see what happen when I put away my PPT and let my students choose the content. All the teacher needs to do is provide the topic or question and guide the discussion. 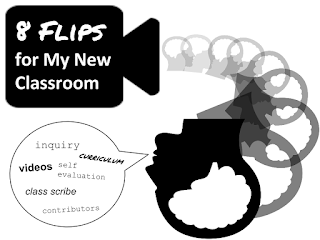 This flip came right from Alan November's digital learning farm. We had choices about how to implement this role, and we went with Google Docs because we were a GAFE district. Students worked in teams comprised of the most enthusiastic volunteers as well as groups in which the roles were rotated so everyone had a chance to practice being the scribe (class note-taker). Other roles in the rotation included curriculum reviewer, fact checker, and global collaborator. Asking questions routinely and making thinking visible should not be on this list. It should be the norm, but it's not. As a first-year teacher, I emulated the teachers who taught me the craft and therefore wrote the questions myself – never thinking much about the power of having students write questions. Two and a half years into teaching, during winter break, I had an epiphany. I realized that I was getting really good at writing questions, which reflected my content knowledge and skill level. As a third-year teacher, this wasn't a terrible place to be, but I knew that the questioning practice and hard work I was doing needed to be placed back on my students – the flip. I started working with standards-based grading two years ago, but this year was my first for reporting grades in this way. By separating each score by the standard, all stakeholders (teachers, students, parents, admin) can gain a clearer picture of student achievement. In other words, when a student is struggling, there is little to no question about which areas need improvement. Calculating the summary grade for report cards is a whole other monster. Check out this post on the issues with averaging. Looking at my file cabinet with each unit ready to be copied for the year, I dug my heals in and decided to skip the worksheets. This decision wasn't based on a fad I picked up from Twitter. It aligned with the realization that I was doing too much of the "making" for each assignment. We didn't do many big projects. Students made their own maps, made history placards for emergency safety equipment, and presented poetry with digital tools, to name a few. For each lesson, I reviewed the standards and made note of the big ideas and essential questions. Then, I wrote project expectations based on what I could imagine professionals would do to solve some of the problems. This is the essence of authenticity. Although I've done a lot of self-evaluation (on the part of the student) in the past, this past year it played a more important role in providing feedback to students. I added a few critical steps to the process. When students completed a summative assessment, they ranked their confidence 1-4 for each standard assessed (4 being very confident). After the papers were marked, I returned them with feedback. Students then took another look at their standards-based self-evaluation and made adjustments based on my feedback. This process helped them dial in their initial evaluations of their work and kept their class work focus connected to the standards. By the third assessment, this routine was in full force to change the culture of our classroom. The furniture. It needs to be reworked. I'm used to having 30 students in a classroom built for 25 max. This has discouraged most of my attempts to change the seating. No matter what, I've always had students facing one another with an aisle for easy access between the front and back of the room. But I don't want a front and back. I want spaces that allow students to choose what's best for them. Student input has always been important to me. On the topic of furniture, I asked kids to try something different to get a better feel for what they want. A third of them preferred the floor. I thought that was interesting, so I tried it myself. It was relaxing because it was different. The floor may not be where students want to sit all the time, but a few choices for them will be my goal in 2015-16. Student-made tutorials are a must. Some students like to make videos, while others are happy with slide presentations or posters. Whatever they choose, putting the explanation in their hands opens doors for working with the community, especially other grade levels and different schools. I know that I am successful when my students can choose which application and device works best for them without compromising the project and learning goals. I owe the focus of my learning about edtech to my students. They trust me enough to be honest when I ask them questions about apps or tools we use, and I honor their opinion with much consideration. It's also been my inroad to learning about what engages them. Technology engages students in the learning process because they can find, analyze, and share information much like they would outside of a classroom. But they don't all do it the same way or use the same tools. Here are some of the questions I need answered before I can expect my students to do authentic work this year. You see, it's not the tool that makes it happen. It will always be the relationships – between you and your students and the learners and the content. 1. What kinds of devices do they use? We all use different devices and settle into our own routines. What kinds of routines do you want your students to learn? If you can find out what they use and make the expectations clear about how they need to use their device academically, they will succeed on whatever they have or may be issued to them. 2. Are there any apps that they like? Every year, students tell me about the tools they use in other classrooms. It usually comes up when I want them to try something new. "Why are we using Google Docs," a student says. "My iPhone already has Pages." If we let our students make more choices about the apps they use, they will immediately take some ownership for their learning and the work they produce. For example, a writing assignment could be completed with Docs, pages, OneNote, or Evernote, to name a few. As long as the file format can be shared easily, it doesn't matter to me which one they choose. 3. How do they access the Internet outside of school? If we don't know what our students' lives are like outside of school, it gets really hard to engage them. Plus, knowing the specific issues they face allows teachers to focus conversations and resources more proactively than expecting students to make such an emotionally risky move. Last year was the first one that I could actually say that I know the specific access issues my students faced. In every situation, all it took was a bit of digging deeper into the specific possibilities – some of them could get to school early, while others had relatives or transportation to the public library. The kids with access issues are often the ones who need the personal conversation. They know the answer but need someone they respect to offer support. This makes their confidence soar. 4. What kinds of social media do they like? Not all of my students like social media, and not all of them like the same platforms. At least two thirds of my students use Twitter, and most of them have Facebook accounts but don't use them. Almost every student, however, uses some sort of texting app (whether out of box on the device or installed by the user). One thing is for sure, most of them will use social media at one time or another. Many of my students who despise it during their secondary years will friend request me once they're settled into life after high school. I teach writing, sharing, and commentary skills that support best practices for professional communication as well as appropriate interaction on social media platforms. That's why I like to know where they are when it comes to their preferences and practices. 5. How often do they use their devices for learning outside of the classroom setting? Some students have never thought about how often they use their devices for learning. Many of them have never spent any time thinking about what can be considered learning. A discussion on the latter is usually mind blowing, especially when they realize that they learn something with every text, conversation, or YouTube search, for example. Yes. All of the above works. I always start a training session or presentation by getting a feel for the room. I may not expect a Google Form to be completed for a short session, but I always sent one to my colleagues when I ran a department.